An affordable house in great conditions! Hello, I am 684 S. 13th street in Brawley. These days when most of available homes are unaffordable, here I am to fulfill your dream of home ownership. I am a very nice 3 bedrooms house with 2 bathrooms and 2 car garage. Family room is quite spacious. 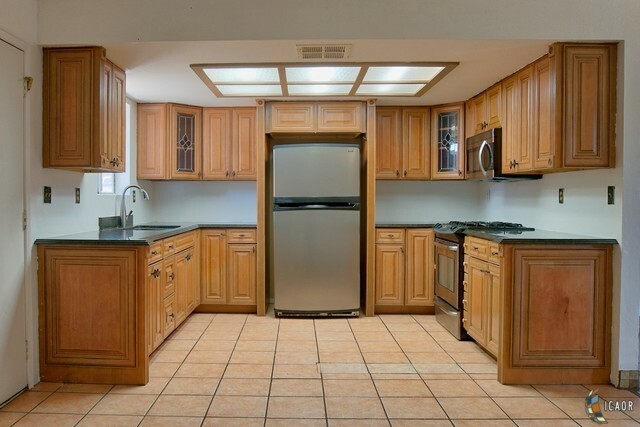 You will definitely love open kitchen with lots of cabinets and counter space, which was remodeled with quality material only a few years ago. Did you notice steel appliances including refrigerator? I am sure that you will admire upgraded bathrooms. I have nice flooring in high traffic area. Backyard is perfect for enjoying the quality time with your family. Ceiling fans in family room and bedrooms would help in keeping power bill lower. Owning me may cost you less than your current rent and you will be able enjoy your house for years to come. I am located walking distance to school and park.